Math is one of those things that some children dread or hate. Both are strong negative feelings and unfortunate. Math is all around us and understanding it is the first step to mastering it. And what is the best way to learn anything? By playing games, of course. 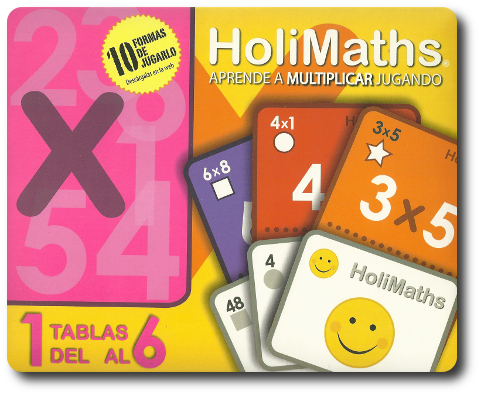 HoliMaths X, designed by Matías Román, Adriana Rubio, and published by HoliPlay, is comprised of 72 Problem cards, 72 Solution cards, 6 Wildcard Problem cards, 6 Wildcard Solution cards, 6 Cheat Sheet multiplication table cards, 1 bag, and 1 Punctuation card. All the cards are as thick and as durable as your standard playing card. 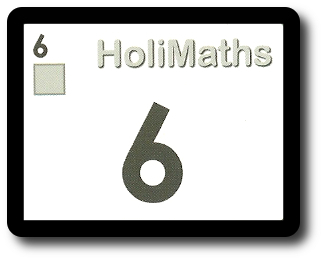 HoliMaths X has two different versions these are “1-6” and “7-12”. The contents of the game boxes are the same except for the number values. HoliMaths X “1-6” focuses on multiplication problems that use numbers that fall into the range of 1-6. The same applies for the other game, except the numbers fall between 7-12. 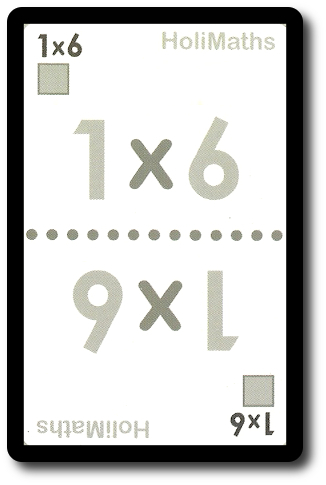 The Problem cards display a mathematical problem without a solution. They also come in different colors and have different shapes. These are used in various games, but for the most part, the focus of the card is always the problem at its center. The Wildcard Problem cards can stand in for any Problem card. 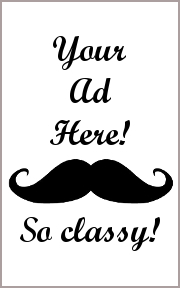 This includes the color and the shapes. The Solution cards are the other end of the equation. These are only a single number value that are meant to be associated with one or more Problem cards. Like Problem cards, they come in different colors and have different shapes, but their primary focus is to provide a number value that answers the problem posed by the Problem card. Wildcard Solution cards act the same way as the Wildcard Problem card, but are only used for solutions to problems. 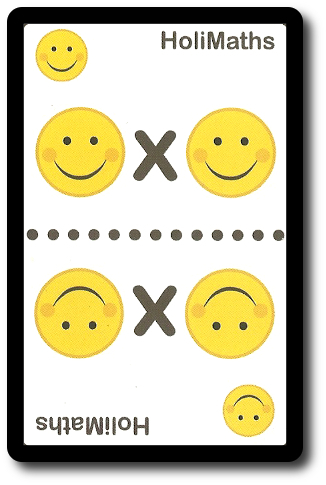 While the individual games use the cards differently, the most basic use of the Problem and Solution card is to match the two together so the problem has the correct mathematical solution. HoliMaths X is not one game, but several. Each game is referred to as an “Option”. The different game options are summarized here. The original game that started it all. This option challenges players to match solutions to the Problem cards in their hand and then play them to the table as quickly as possible. Problems can go unsolved, allowing continuation of play, but must be completed before the player can finish. The winner is the first player to solve all their Problem cards by matching the correct Solution card to them. A game of filling in a grid, wherein players must fill in the next number values to the left, right, above, and below the other cards already in play. The end result will be a multiplication table. Similar to Stairs, but without the help of any assistance or helper cards. A complex game of building upon a large multiplication table against other opponents using all the cards in both HoliMaths X games. More of a method of play, rather than an actual option. Fast challenges players to draw a card and play it as quickly as possible to the table, then draw another card, and do it again. Think Speed, but with different multiplication values. A game of memory, wherein the players flip over Problem cards and their corresponding Solution card. Get the solution wrong, and both the Problem and Solution card get flipped face-down. The dealer reveals 1 face-up Problem card to the player at a time. As quickly as possible, the player must shout out the answer. Whomever collects the most cards wins the game. This uses the game as a flash card exercise. A solitaire game where the player attempts to work through a stack of cards by matching Problem and Solution cards together. 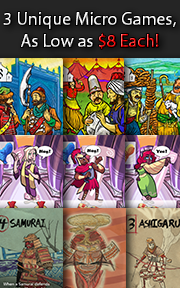 The game options that come with HoliMaths X are just the beginning. Players are encouraged to make their own games, improve upon those already provided, and then teach them to friends and family. To learn more about HoliMaths X, visit the game publisher’s website or visit the Kickstarter campaign. The Child Geeks were touch and go for a bit until we got them into groups where their relative skill levels were all the same. After that, we had no problems. According to one Child Geek, “The games can be fun if everyone is in your same grade.” It’s important to note that HoliMaths X is a game of skill. All skills can be learned and improved upon, but if there is an uneven matching of skills, the Child Geeks will either feel cheated or bored. Matching Child Geeks with children their same age is best for most games, but not necessary. Being aware of the players’ mood will help determine if the groups are evenly matched or not. 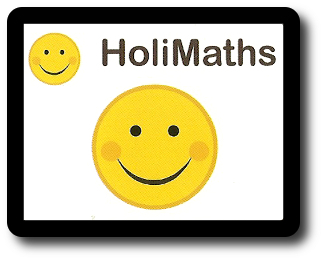 Speaking of which, when the games were over, the Child Geeks found the games fun and challenging, giving HoliMaths X their approval. Most of the Child Geeks wishes their teachers would have a game like this in their classroom. The Parent Geeks were very impressed with the game and its goal. According to one Parent Geek, “It’s so refreshing to play a game that is meant to educate and entertain. No offense to you and the games we play most of the time, but I find more value in learning numbers and strengthening my math skills versus fighting dragons and leveling up a character.” Total nonsense, but I respect her opinion. Another Parent Geek said, “A good grouping of games and easy cards to follow. The challenge comes in being faster and more efficient. I like that. It emphasizes why we need to memorize math problems instead of trying to figure them out each time we see them.” The Parent Geeks played the games with their Child Geeks mostly, but found a few opportunities to play with their peers, as well. The best games with just the adults were those where speed and accuracy were necessary. 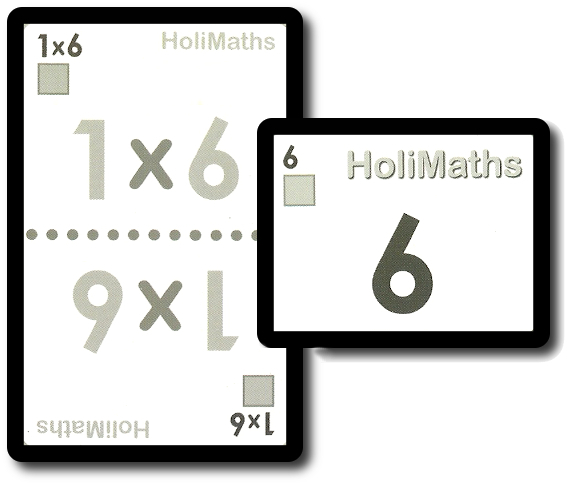 When the games were over, the Parent Geeks approved HoliMaths X. The Gamer Geeks tried several of the games and then polity excused themselves from playing any more. According to one Gamer Geek, “This is a great resource for teachers, parents, and kids who are focused on learning their multiplication. As a game you would want to play for fun and to relax – well – it isn’t. This is gamification at its educational finest, but holds no interest for a gamer.” Another Gamer Geek said, “Great concept and I like the variety of games available. But I wouldn’t want to play any of them.” Not surprisingly, the Gamer Geeks rejected HoliMaths X, but they did want to make it clear that they approved of what HoliMaths X was doing and was about. It just wasn’t interesting to the gaming elitists, regardless of the value they all thought it brought to the family table. There are enough game options in HoliMaths X to ensure there is a game for everyone, but not everyone should play together. For example, the games that require an individual to be as fast as possible will quickly turn into a torture session for a younger player who is facing older and more experienced players. The same could be said about every game under the sun, but even more so for HoliMaths X. If a player has learned their multiplication tables, they have an unfair advantage over anyone who hasn’t. This includes adults and parents. HoliMaths X is a great deal like games where spelling or trivia is involved; you either know it or you don’t. You cannot fudge math (goodness knows I’ve tried – but not on my taxes – that would be bad). Including multiplication tables with the game and making sure there are enough for everyone opens the door to all players. It’s no longer necessary to know every multiplication problem and solution by heart, but it still helps. The key to almost all the games is either speed, memorization, or a combination of the two. The longer the players are attached to the cheat sheets, they more they will learn. Eventually they’ll start using them less and less, as that is the only way the players will become competitive. Overall I’m pleased with the two games. While identical in almost every way, their focus is different enough to allow for a clear separation of skill levels. You can later combine them together when the players should know all of the multiplication tables, but until then, keep them apart. More cards does not equal more value. Just more problems and more solutions. Do try HoliMaths X if you are a teacher, a home educator, or a student who is looking to sharpen your math skills while having fun at the same time. Tagged Child Geek Approved, Educational Games, Game Systems, Number Games, Parent Geek Approved, Prepublished Games, Solitaire Games. Bookmark the permalink.